Monday, September 30: 3 miles in 33:10 for an 11:07 pace. More or less. My Garmin took awhile to pick up a signal and since I know my three mile route like the back of my hand, I didn’t bother waiting for it to start measuring before I started running. This was my first run (and my first workout, period) in four days, and it was really nice to get back outside and get my heart pumping. I had been told to take it easy on this run, so I was hoping to run pretty close to 11:00 miles, since I consider that to be easy. I accidentally ran a 10:17 first mile but was able to hold myself back a lot more on the following two, which I imagine was good practice for the marathon. It’s not always easy to run slower than you feel capable of running, but I figure that kind of approach would pay off in spades in the marathon itself. As for my hip, it had been achy on and off all day (generally when I was thinking about it, or actively trying to not think about it). We’re talking 0.5 on the pain scale, so nothing significant, but not nonexistent, either. Per usual, it felt fine for the first 1.5ish miles and then started to hurt a little more. Part of me thinks this is a mental block for me, because I’ve gotten used to having a comfortable first mile and then having my hip flare up. Since I do think a lot of this is more of a mental problem than a physical problem at this point, I made a conscious effort to keep my brain engaged in other tasks while I was running: counting to 100, reciting my ABCs, counting to 100 in Spanish, trying to recite my ABCs in Spanish (I got to like ‘h’ before not being able to remember anything beyond that. My high school Spanish teacher would be so disappointed!). I could kind of feel pain on the fringe while I was doing all of this, but giving my mind a task to focus on other than my hip allowed me to keep running and kept the pain closer to a 2 than the 10000000 it would’ve been if I had let it spiral out of control. By the last .25 miles, my hip didn’t hurt at all (until I stopped running [and counting], at which point it hurt for maybe two minutes before feeling fine). Wednesday, October 2: 4 miles in 45:14 for an 11:18 pace. I was cautiously optimistic heading into this run. My hip didn’t bug me much during dance and hadn’t bothered me at all on Wednesday during the day, so I gave it a pep talk before heading out for my run and told it that we’d make it at least two miles before it was allowed to start hurting (instead of my normal one mile + change). Well, the two mile mark came and went…as did the three mile mark…and the four mile mark…and my hip was fine!! HOORAY!! I mean, it wasn’t perfect–it was a little crabby after the run, but felt fine by the time I got home to stretch and foam roll–but it was easily the most painless run I’ve had since September 11, which was my last uninjured run. Victory! Then I got home and got a massive cramp in my calf like an hour and a half after I had finished running. I’ve never gotten charley horses before, so I was really (unpleasantly) surprised by all of this. And then the Internet tried to tempt me into thinking I have deep vein thrombosis, not just plain ol’ calf cramps, but since I have zero risk factors for DVT, I’m not calling the ER quite yet. This, friends, is why we never check our symptoms online. Thursday, October 3: physical therapy. Even though I finally started to feel healed, I went to physical therapy anyway, because the last thing I want to do is reinjure myself. PT mostly consisted of me being poked, prodded, and stretched (and learning that I seriously must just be highly ticklish, because there was no way the things my PT was doing to my hip flexor/IT band/general hip area could be considered “relaxing,” but it still tickled just as much as my massages) with a little exercising thrown in. Saturday, October 5: 4 miles in 42:38 for a 10:39 pace. Per my PT’s request (demand), I only ran four miles for my “long run” instead of the scheduled eight. Probably for the best, because let’s be real: I have not held anything remotely close to a 10:30 pace lately (see: Monday and Wednesday), and though my hip held up all right, I think trying to maintain that for eight miles would’ve been a major challenge. I was able to hang with the group while I ran with them, but after I turned around at mile 2ish, I slowed significantly. All in the name of hip flexor preservation! Well, the good news is my hip is feeling much better than it did all of last week, so hooray. Definitely a victory in my book. The bad news is mentally, I’m losing it. My mood swings rival that of the most hormonal pregnant woman, and I truly pity my roommates, who more than anyone have to deal with my angst. I’m generally able to be socially acceptable in public, but once I get home I either turn into 1) a raging antisocial easily-provoked-to-anger monster 2) a sensitive weepy fool or 3) a relatively stable person. You never know what you’re going to get with me lately! (Though mornings and evenings are usually bad news. Stay away! Stay far away!) I’ve also been exhausted for much of the week despite the fact that I’m getting more sleep than normal. I think all of this is par for the course for taper, at least from what I feel like I’ve read/heard, but that doesn’t make it any more enjoyable. I didn’t realize my sanity was quite so dependent upon my activity level, but I’m very much looking forward to a couple of weeks from now when I can start exercising on my terms again and keep Crazy Bethany at bay. On a brighter note, my mom came across an article on marathoners during taper and learned that it was a mentally difficult time (she apparently missed the line in my e-mail to her and my dad about marathon weekend where I assured them I’ll be “ten gallons of crazy” come October 12) and as such has started sending me inspirational photos every day, often in the form of small fuzzy animals, to keep my mind off things. It’s pretty much the greatest thing of my life. Aw I’m so happy you feel like your hip is finally getting better! We actually had an entire conversation about the taper craziness this weekend at work. Pretty much everyone on the store was on taper since we’re all racing somewhere this weekend (one of my coworkers is running Chicago actually!) and it kind of reassured me that I’m not the only crazy person out there that complains about having to do less exercise than we normally do. It will pay off though and we will ROCK our races! Oh my gosh. That sounds like a recipe for workplace disaster. Although I guess conversely, at least you all more or less understand where you’re coming from. 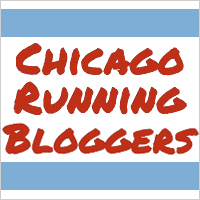 That’s exciting that one of your coworkers is running Chicago! Good luck to you this weekend! Well, it’s very reassuring to hear that most of these fears/concerns will go away Sunday morning, because right now the whole 26.2 miles thing sounds insane. But I figure that this is pretty much what everyone does, so it must be a good method! Thanks for your well wishes, and good luck to you, too! The most important part of this last week for me are the last two physical therapy appointments! they help a lot mentally and physically to me. I am just trying to keep positive that my body will heal up the last few days! Stay positive and enjoy some ice cream carbs! Mmm ice cream. Sugar = carb loading, right? One of the few things keeping me sane right now is daydreaming about all the junk food I’m going to eat after the marathon, and ice cream is definitely on that list. I’ve heard end-of-the-season aches and pains tend to vanish on Sunday, so hopefully we’ll both be feeling good in a couple of days! Girl. I am dying. This morning my CTA pass flipped out and I pretty much broke down in tears trying to get on the train (fortunately I managed to *not* swear at the poor CTA employee who tried to help me…good work, team!). I’m a ticking emotional time bomb, let me tell you. But whatever it takes to get to the start line and finish line on Sunday! I’m glad your hip has been doing better! Taper can be really emotional/frustrating but it’s almost over! Thank God. I just want to feel stable again! Haha.